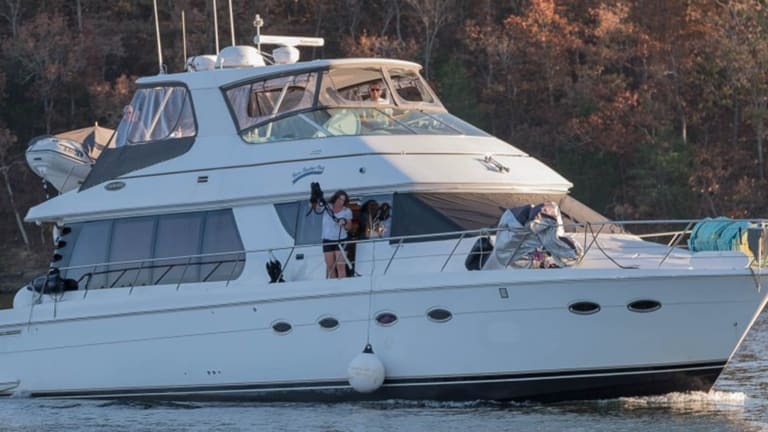 Power & Motoryacht’s new contributor explains how the installation of a Seakeeper 9 on his Carver Voyager 570 allowed his family to enjoy the trip of a lifetime around the Great Loop. The author, flanked by his wife, Laura, and daughters Molly and Madelyn, is all smiles before embarking on a life-changing cruise. In 2015 my wife, Laura, and I were at the Ft. Lauderdale International Boat Show when we came across an eye-opening piece of technology. We were on the Seakeeper demo boat at the mouth of the Port Everglades inlet as a 60-foot Viking sportfish ran circles around us, throwing a big wake. 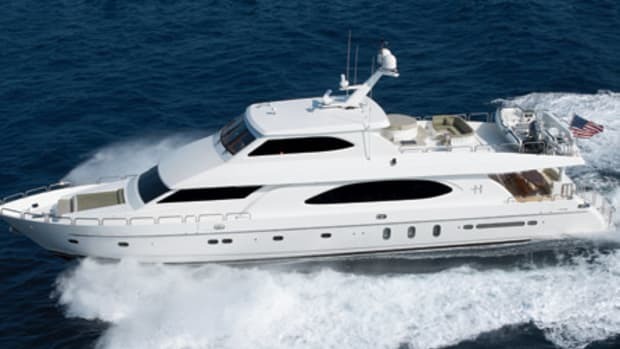 That demo led to a major install of a Seakeeper on our own Carver motoryacht, one I can still recall in vivid detail. At that time, Laura and I had been seriously discussing a cruise along the Great Loop. Years before, when I started bugging her to take this “little trip,” we were in our mid-thirties with two young children. I was working full-time in financial services technology and traveling most weeks. I think she felt she could write-off my sporadic pestering as simply the aspirations of a daydreamer. But as 2015 drew to a close my satisfaction with the job was rapidly declining, so I negotiated my departure six months ahead of time. Suddenly, my idle daydream of an extended cruise was a full-on possibility. If we left in the summer of 2016, I reasoned, our kids would be 6 and 9—hopefully, the right ages for a year of traveling and home schooling on board. Laura and I debated the subject quite a bit, but ultimately decided that while there were plenty of reasons not to go, we were going to give it a try. We owned a Carver Voyager 570 that we kept on the Little Calumet River in Indiana, which we named Have Another Day. Though we contemplated purchasing a new boat better suited for the Great Loop, our research pointed us to similar vessels. With four of us on the boat, we would need ample space, and Have Another Day was as good a boat as any. In addition to space, there was something else we’d need for this type of cruise. Laura has never been overly comfortable with the natural side-to-side rolling action of our boat. The same is true for our youngest daughter, Madelyn, except she doesn’t have her mother’s grace in managing it. (Through the summer of 2013 she chanted “Maddy go home” every time the boat rocked.) This is why, as we walked through the boat show looking at all the new gadgetry, the Seakeeper booth grabbed our attention. The foundation is set for the 33.5 x 35.6 x 28.3-inch unit. I’d been intrigued by Seakeeper’s gyroscopic stabilization technology since the company first started shipping this product. While at the show I talked to my friend Mike Walsh from Marine Services Corp. in Dolton, Illinois. I mentioned Seakeeper to him in jest, thinking the technology too expensive and too difficult to install. He quickly convinced me that I should wholeheartedly consider it. His facility hadn’t done an install yet, but he was confident they were up to the task and he was interested in taking on the job. So, we circled back to the Seakeeper booth and signed up for the aforementioned demo. The Seakeeper handled the Viking’s wake really well, but then the captain deactivated the gyro for comparison’s sake and the boat rolled nearly rub rail to rub rail. At this point Laura was holding onto a rail and not looking too thrilled. The captain activated the Seakeeper and in just under seven seconds all rolling stopped; the boat just rode up and down over the wake. At that moment I knew that my normally frugal wife was sold. What I didn’t fully understand yet was how much the Seakeeper would improve our displacement cruising. 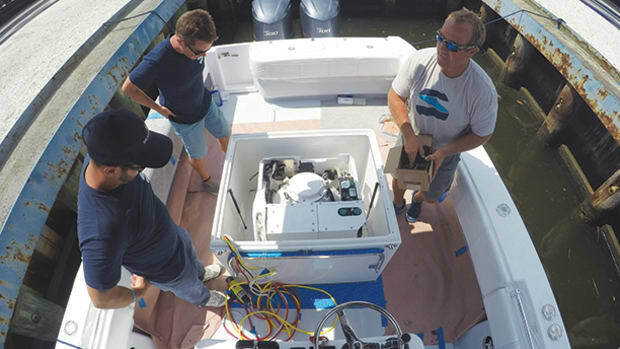 Over the years, the Seakeeper technology has evolved—with models for boats of various sizes and with different power options—but at the core of each unit is a gyroscopic stabilizer. It works by spinning a large, heavy counterweight inside of an enclosure at high rpm, creating a spinning-top-like inertial force. In the case of our Seakeeper 9, that’s a 900-pound counterweight spinning at 9000 rpm. A vacuum inside the enclosure and water cooling help make this possible, but it still takes significant power. How does it actually work? The stabilizer is mounted in the boat so that it precesses (gyro jargon for rolling back and forth) forward and aft. This forward and aft precession produces force countering the boat’s natural tendency to roll side to side. Basically, Seakeeper is taking advantage of the same property that keeps you upright on a bicycle when the wheels are spinning. Finding the right space for the gyro on your boat will likely be the most difficult task. Seakeeper has developed an advanced control unit that sits in the back of the gyro enclosure above the ball. Taking input from sensors on the unit, it controls the motor that spins the counterweight as well as the hydraulic brake you can see on the right side of the unit. When you see the ball precess back and forth, you might think there’s a motor or hydraulic ram moving it around. But that’s not the case. What you’re seeing is the force of the spinning counterweight moving the ball. Because the ball can only move on one axis (fore and aft), side to side motion is transferred to the mounting bracket and ultimately the hull of the boat as a stabilizing force. The control unit is responsible for making sure the gyro operates safely within Seakeeper’s defined limits. For instance, the braking circuit can stop the gyro from precessing (which stops it from stabilizing), as well as slow its precession when it nears the end of its 140 degrees of precession. 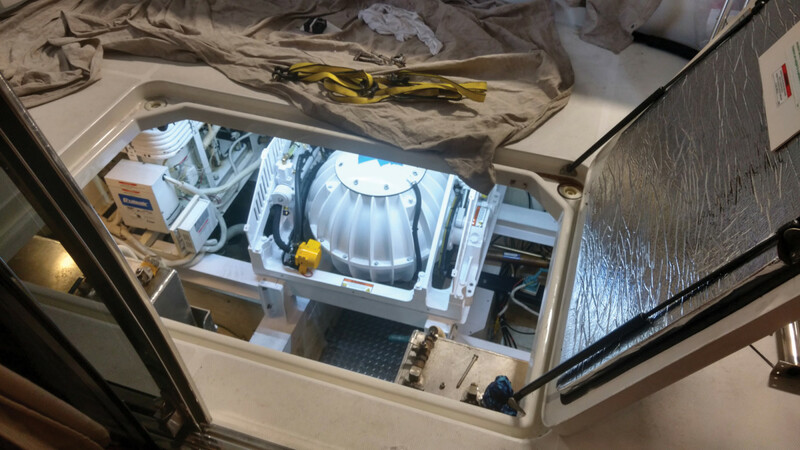 Once we returned from Ft. Lauderdale we got down to the business of figuring out how to install a roughly 1,200 pound, 3-foot cube in our boat. 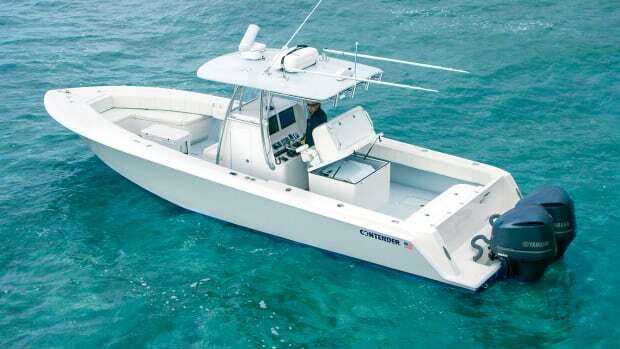 Even though Seakeeper reps say the unit doesn’t need to be centered in the boat or even set particularly low, finding the right place for it wasn’t an easy proposition. The fuel tanks on our Voyager 570 are at the aft end of the engine room, and only a little more than 2 feet apart. There was no way to get the stabilizer forward of that point. So we settled on the lazarette as our install location. After some measuring, some mocking up, some head scratching and more measuring, a plan emerged. We’d have to relocate the shore power isolation transformers, but the gyro would fit on centerline aft over the steering gear. It turns out the engine room hatch was about half an inch smaller than the smallest dimension of a Seakeeper 9, so we anticipated an adventure just getting it into the boat. With a vague plan in place—and some emerging confidence that we could make this all happen—a Seakeeper 9 was ordered. As the calendar pages flipped to 2016, a nondescript wooden crate arrived with precious cargo inside. 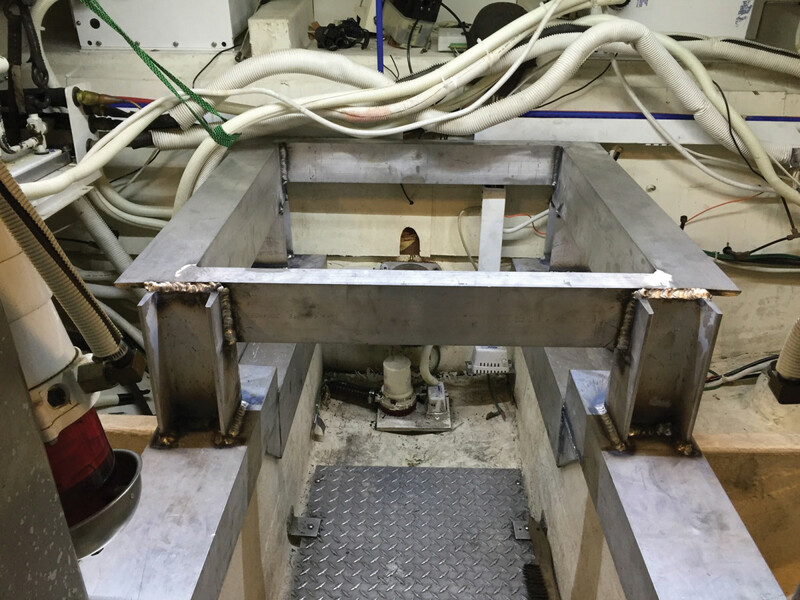 Meanwhile, I worked with a marine fabricator to build the needed custom bracket, and, in turn, the fabricator worked with a naval architect to ensure the boat’s hollow stringer structure could stand up to the maximum loads the stabilizer could impose—roughly 14,000 foot pounds of torque. 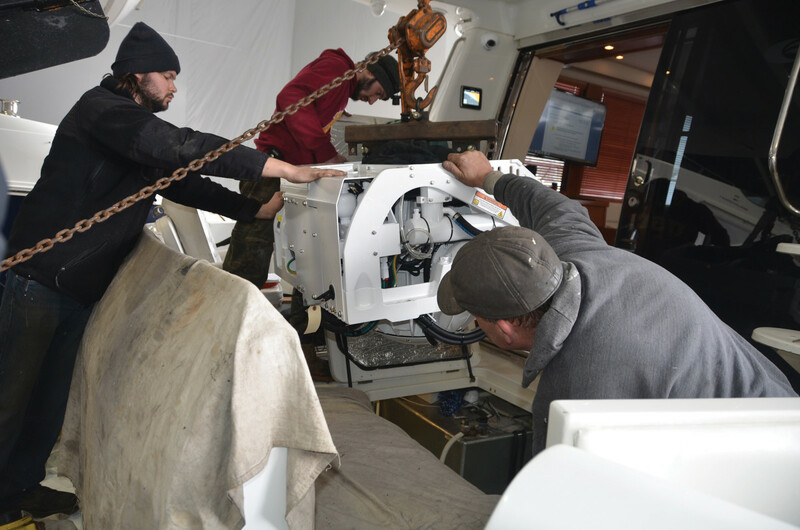 To date, Seakeeper says it has performed over 1,000 refits, so odds are pretty good that the specs for your installation are only a phone call away. It was at this stage that we encountered our first limitation in the installation process. 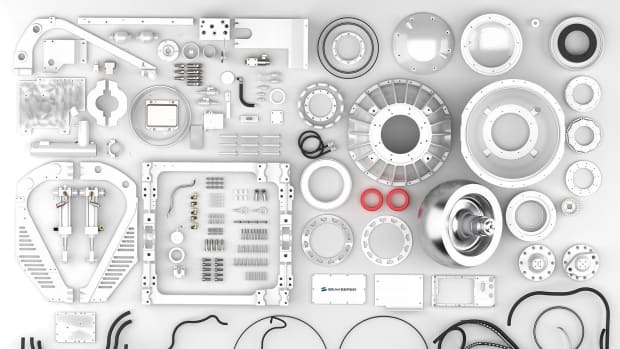 Although the company understandably requires approval review of your installation design, in our experience, that didn’t help much in the overall process. I suspect Seakeeper has liability concerns, but it’s difficult when your fabricator complains that he’s working in an information vacuum. I understand that the installer must take some responsibility in the process, but I wish Seakeeper would share more of what must be a vast trove of installation knowledge at its disposal. That said, the design our fabricator ended up proposing incorporated all four main longitudinal stringers in the boat. The bracket has a U-shaped base that extends over an approximately 5-foot section of those four stringers. 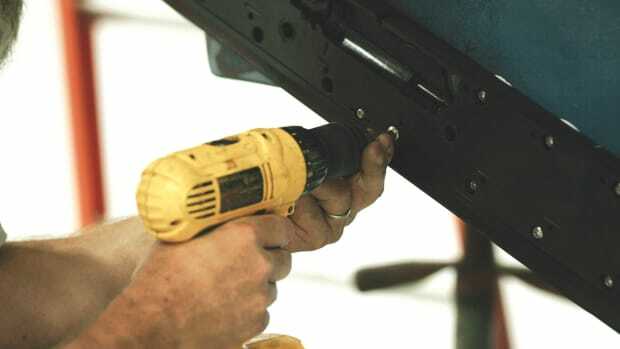 Seakeeper does specify that the bracket be glued to the structure of the boat rather than bolted. In fact, a representative described a phenomenon where the bolts can act like a wire cutting through butter. In other words, with the amount of force generated, the bolts can become cutting instruments, turning the stringer holes into slots, allowing the Seakeeper to walk—and possibly worse. Once the bracket was fabricated, it was time to glue it down to the stringers. This was a one-try affair, as the adhesive is the same used to bond aluminum structural members in automobiles. From what I understand, once cured it doesn’t let go without a fight. I’m not a naturally patient person, and the process of creating and installing the bracket was trying. Thankfully, the fabricator was methodical in his approach, diligently avoiding miscalculations. We witnessed the culmination of his work during the March 2016 install. The process involved a couple of forklifts, a couple of come-alongs and a portapower to stretch the engine room hatch opening to fit the stabilizer. Eventually, it had to be put in on end and then rolled into place. While it was stressful to watch this process knowing that several months of effort could be in vain, the install ultimately went off without a hitch. Now, the electrical connections needed to be made, the control system installed and the commissioning completed. Fortunately, we have a 23-kilowatt generator, so the 3-kilowatt maximum draw from the Seakeeper wasn’t a major factor. Also, the control units use standard DeviceNet Micro-C connectors like NMEA-2000 networks, and I was just completing an electronics refit on the boat. So running those cables was pretty simple, as all the cable chases on the boat were open and accessible. On a cloudy April day it was time to get the boat off the dock and see what the stabilizer could do. But since Have Another Day’s winter home on the Little Calumet River is an hour-plus from Lake Michigan’s potentially rough waters, we simply pulled the boat off the dock along with a 20-foot skiff, which we then used to throw wakes. The wakes were no match for the Seakeeper. It precessed a few degrees, and the boat never rolled once. The early returns, though highly incomplete, were very positive. The next test was a run out to Lake Michigan, but as Mr. Murphy would have it, we had managed to pick what was likely the only flat-calm day in early April. So that’s why the few, possibly puzzled observers on the lake that day saw a big Carver doing donuts and then stopping dead in its own wake. Once again, the boat behaved very favorably, but I still didn’t feel we knew the full capabilities of our boat and Seakeeper working in tandem. Actually, it took some time before we could fully appreciate the Seakeeper. Next up was finishing the lazarette install with new shelves and component dressings. And the following summer, time spent on the lake was more about Great Loop prep than extensive cruising. But we did spend a fair amount of time at anchor, and one of the great things about gyroscopic stabilizers is they work at rest. In fact, a gyro is most effective at rest and becomes less effective the faster the boat travels. This characteristic nicely aligns with a planing hull like ours. Have Another Day generates reasonable lateral stability on plane from the two large spinning screws underneath her. Her Achilles’ heel has always been at low speed where the smooth-bottomed planing hull allows a fair amount of roll. 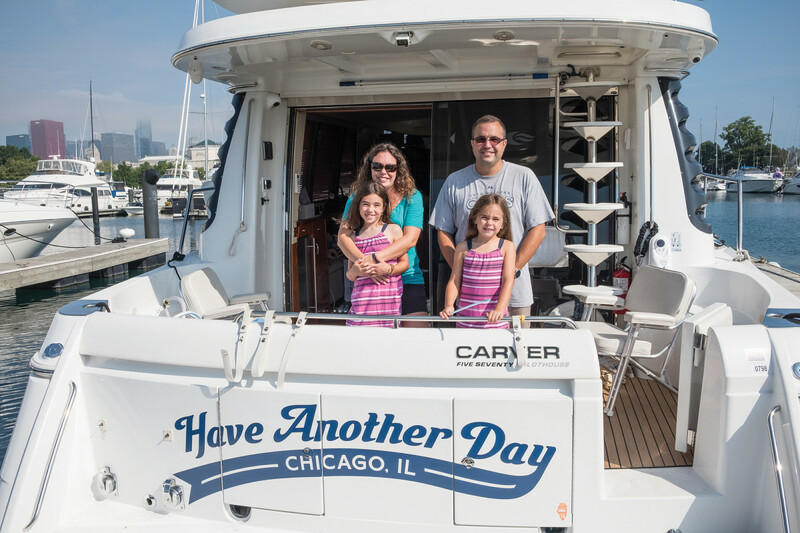 During our time at anchor and at low speed cruising around Chicago’s waterfront, we had the opportunity to see and feel the stabilizer in action. We were impressed. The boat’s tendency to roll at anchor and at low speed was nearly eliminated. The worst wake or wave would only roll the boat a few degrees before she came back to a level and stable footing. Gone were the pendulum-like rolls, first with the wave and then with the resulting momentum. On the morning of August 29, 2016, my family and I left on our Great Loop adventure. For the next two months we were on calm rivers while the stabilizer mostly just rested. But upon arrival in Mobile Bay, it was quickly pulled into service and was helpful as we travelled from exposed waters to the Gulf Intracoastal Waterway. It even neutralized a beam chop as we crossed from the Florida Panhandle to St. Petersburg on plane. 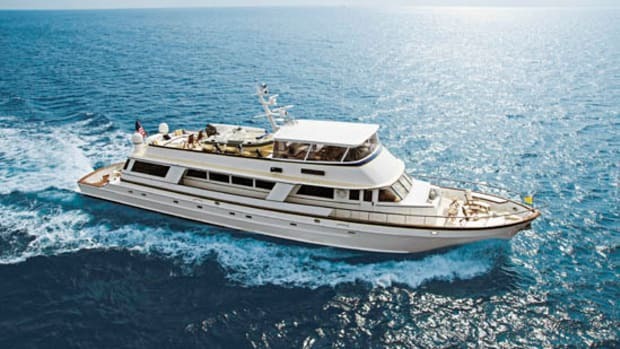 But it was in open waters—especially during our crossing back from the Bahamas—that we really experienced improved comfort, even at displacement speeds. The forecast was for 3- to 5-footers with an 11-second period, but we encountered higher waves with shorter period. This meant hours of steep 5-footers on our beam, yet the Seakeeper kept the boat flat and level, even at 9 knots. In conclusion, the Seakeeper has done what we hoped it would. A boat that we were previously comfortable cruising only on plane is now comfortable at nearly all speeds. In fact, our preferred cruising speed became 9 knots. With the newfound stability at that moderate speed everyone is more comfortable with the gentle motions of the relaxed pace. We also are able to cruise above 1 nautical mile per gallon, instead of just over 2 gallons per mile on plane. At the same time we can now sit at anchor comfortably without worrying about rolling from waves or a neighbor’s wake. But it’s also important to realize what the Seakeeper can’t fix. Our boat has an unfortunate tendency to pound in a head sea, for instance, and the stabilizer can’t do a thing about that. There’s also the Seakeeper 9’s $72,400 price tag, plus the installation cost. 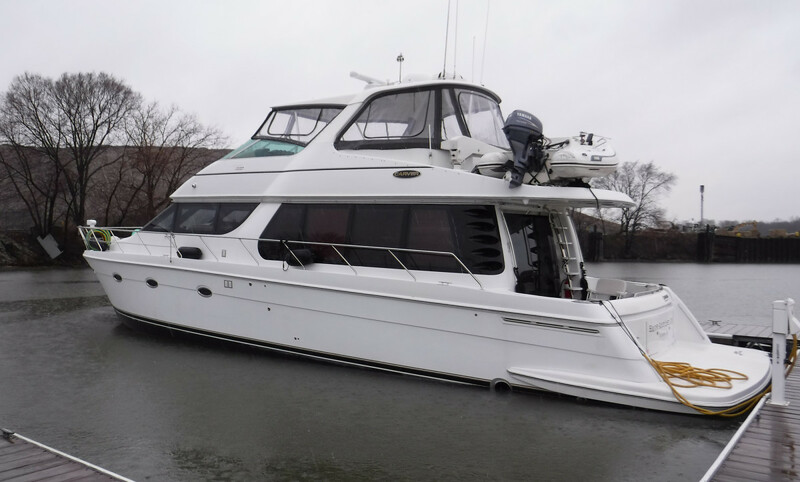 Living on our boat for 14 months made the investment easier to justify, and I think it will help the boat’s resale value, but I’m also realistic—resale return may be pennies or dimes on the dollar. Overall, the experiment was a success. Like every boat-related decision, the finances aren’t always pretty, but the payoff our family received has been tremendous. We finished the Great Loop last October, and we enjoyed the trip even more than we ever thought we would. My once reluctant wife is now the biggest advocate of getting back on the boat and continuing to cruise. And my children experienced firsthand things most of their peers only have the opportunity to read about.